Covered by Techcrunch earlier today, Walmart has launched a trial same-day delivery service in select areas within the United States. Specifically, the service has already rolled out in northern Virginia around Washington D.C., Philadelphia and Minneapolis. 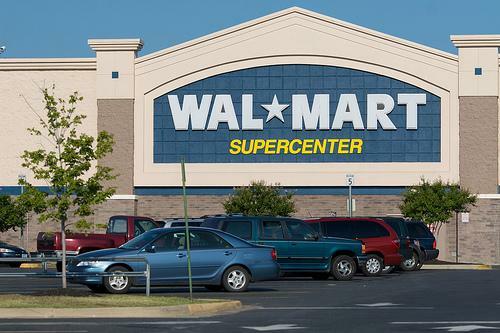 In addition, Walmart plans to add the San Jose / San Francisco market by early November. Rather that attempting to fulfill online orders from a distribution center, all same-day orders will be routed through a customer’s local store. Assuming the test over the holidays is successful, Walmart could make same-day delivery service standard policy due to the significant amount of Walmart locations around the United States. Detailed on Walmart’s same-day delivery landing page, customers can order a variety of products including computers, televisions, tablets, office equipment, children’s toys, video game consoles and sports equipment as well as home goods like appliances, bedding, furniture, kitchen tools, luggage and outdoor grills. However, the items available to each customer are specifically limited to the items carried at their local store within the Walmart-To-Go program. Pricing of those items is also dependent on the prices listed at the local stores rather than corporate prices viewed through the main online portal. The launch of this new service was based off the results of a survey in which many customers stated they would use the service at least once a month. In a partnership with UPS, Walmart is charging a flat rate of $10 to deliver an unlimited number of items per order. With the exception of a $45 minimum purchase within the San Jose / San Francisco market, all other test markets do not require a minimum purchase. Orders have to be placed by noon to qualify for same-day delivery. When an order is placed, the customer selects one of three delivery windows with the earliest between 4 p.m. to 8 p.m. and the latest being 6 p.m. to 10 p.m. If a customer changes their mind about the order after it’s been placed, they can simply refuse delivery of the item.